Everyone could use a few ideas for saving money and spending smarter, no matter where you’re at in your financial journey. 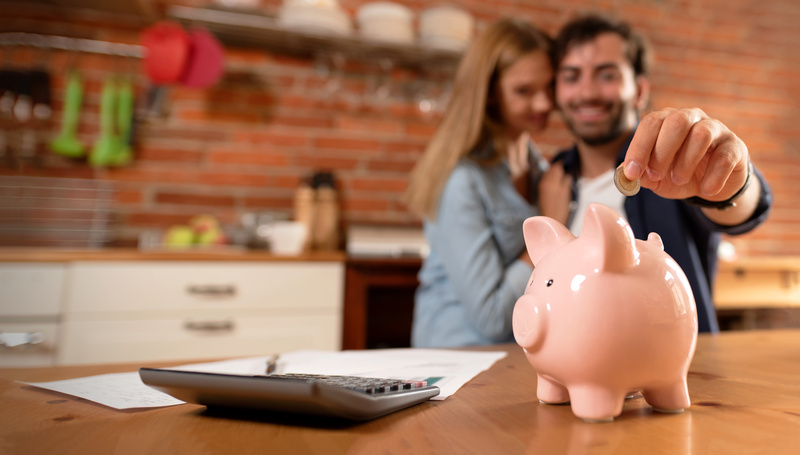 We’ve put together a few actionable steps that anyone can take today to get their spending on track, stay within a reasonable budget, and start saving. It’s easy to get overwhelmed by monthly bills, so when there’s an emergency some of us tend to put the surprise expense on a credit card. If you don’t keep an outstanding balance on credit cards, this isn’t necessarily a bad thing, but racking up debt each month can start to have a snowball effect. Instead, keep your credit card debt to a minimum and build an emergency savings fund for situations that pop up (like needing a new set of tires or expensive prescription). It’s recommended that your housing costs stay under 30% of your income. The average American spends thousands of dollars on their car annually, but if you live in an area with sufficient public transportation you might consider going car-free. Even if you use your car less you’ll experience benefits and save on gas. See if you can find better insurance rates with a local bank, or refinance your car for a smaller loan payment. If you’re trying to find ways to save money and have the extra time, you could take on a side hustle to earn additional income each month. Maybe that means turning your woodworking hobby into a small business or pick up driving gigs with Lyft or Uber. There are plenty of opportunities for extra cash if you know where to look! Teach your children how to budget while you’re working on your own finances. Making kids a part of financial conversations teaches them responsibility with money and transparency about spending habits. And if you’re in Florida, Seacoast Bank offers a savings account just for children to help them learn budgeting skills and become more familiar with the concept of savings. Set aside time to plan out your budget, and include anyone with anyone living with you. When you make your roommates, partner, or whole family a part of the process, staying on budget is easier since it’s a team effort. While you’re spending more time together, you can also save money by trying out new recipes or making that fancy Sunday brunch at home. Dining in can make a huge difference in your monthly budget! Start by cutting back just a little bit and bring your lunch to the office more often. You’ll see rewards quickly when you spend less on eating out every month. If you’re feeling overwhelmed by setting up a new budget, start the process by taking some time to set financial goals first. This gives you the opportunity to set priorities for your money and the way you want to spend it. Maybe you want to donate to an important cause: set up a budget for charitable giving. By planning where you want each dollar to go, you’re in control and can make your money work towards those goals. Reconsider your priorities and goals, then look at the areas that don’t serve those goals. If you want to learn a new hobby but spend your extra time watching Netflix, try canceling your subscription for a bit. Or if you’re among the 67% of people who never use their gym membership, cancel yours and put the extra cash in a savings account. Some people find that using a cash system for spending helps them control it. Seeing and touching your money might create more intention around the way that you’re spending the money: that can make it easier to hold onto it longer. Your next holiday doesn’t have to be extravagant to feel like a real escape. Find a quiet cabin for your next camping trip, or make your vacation a staycation and rent an Airbnb nearby. There are easy ways to save when you travel, either by cutting costs on your lodging expenses or packing lunches instead of eating out. There are a few great apps out there to help you see where your money is going. Mint is among the most well-known and recommended apps, and helps users track their spending and set goals for saving money and paying down debt. You can find other app suggestions here. If you want some guidance with your finances, how to save your money, and where to invest it, it might be time to talk to a financial advisor. They’ll take a look at your accounts and overall spending, and can provide tailored guidance if you need help deciding on how to invest your money over the long-term. Some banks make saving money easier than you might think. Seacoast Bank’s Sail Into Savings account has a few benefits for anyone that needs help with growing their savings account. Seacoast Bank automatically transfers $1 to your savings account, any time you use your debit card. The savings account earns interest and doesn’t have a minimum balance requirement, which makes saving money simpler and easier than ever. You might want to set aside money each month to invest in an account that will grow your wealth over time. You’ll want to work with a bank that offers a diverse menu of investing options, from estate planning to 401k accounts. The professionals at Seacoast Bank will help you to understand your options and invest with confidence. Setting your priorities with financial spending isn’t just a smart move, it’s also empowering. By planning out your budget and where your money goes, you’re ensuring a more successful, stable future. Looking for more ways to spend money wisely and save for the future? You can check out Seacoast Bank’s personal savings options here.